The first railroad lines from the east reached Chicago during the 1850s. A station was established at what’s now Ewing Avenue and 100th Street, and settlement grew up around it. By 1907 the neighborhood was known as East Side. Part of the grade-level railroad crossing is visible in the lower-left corner of the older photograph. 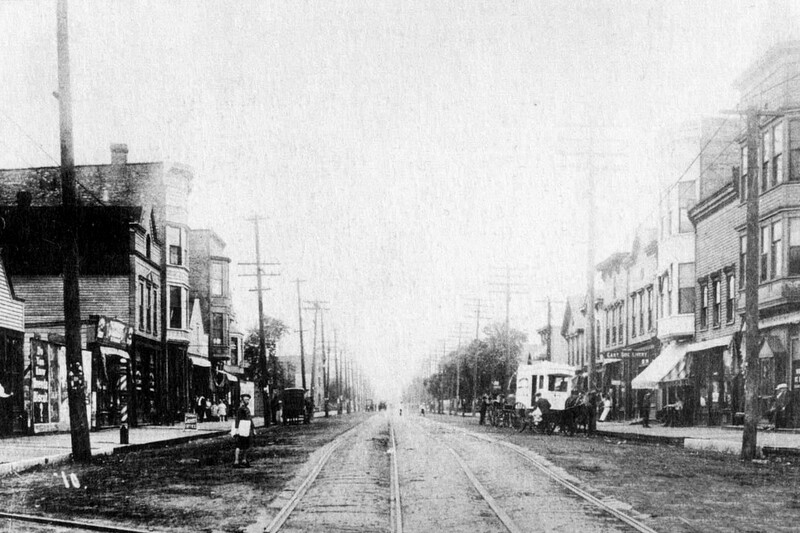 Today the railroad tracks cross Ewing on a viaduct—which accounts for the dip in the street in the newer photo. Though commuter trains no longer stop here, businesses still line the street. 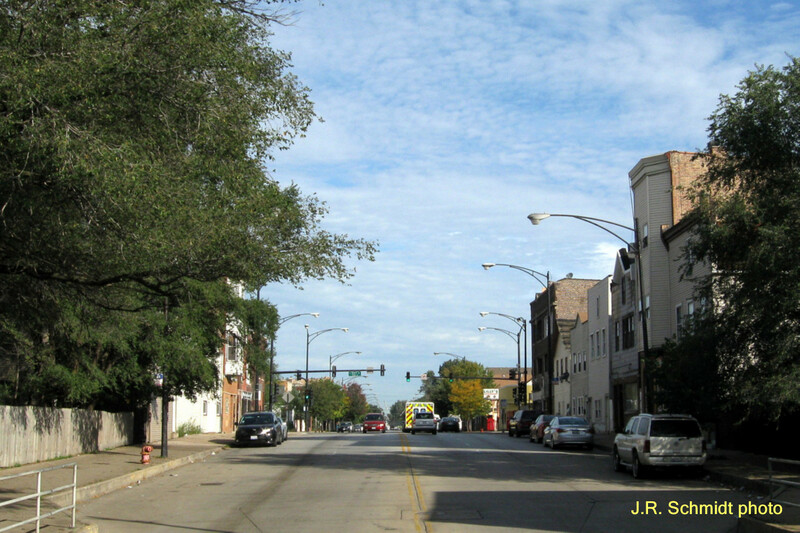 For many years wrestling champion (and local man) Edward “Moose” Cholak owned a tavern on this block.